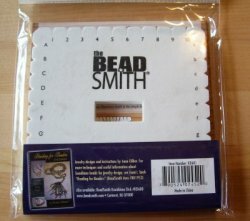 This is a board that I designed for the BeadSmith. It is fully notched on all 4 sides allowing for several shapes of braids. Comes with instructions in English & project ideas.